Lafarge Africa has reported a N3.4 billion loss in its Pre-Tax Q2 profit for 2018 financial year. The cement company’s financial state of health when annualized, tracked behind consensus of 2018 Profit Before Tax forecast of N4.6 billion, even as experts claimed that they expect a downward revisions to consensus 2018 Earnings, Profit Before Tax forecast and a negative reaction by the equities market. According to FBNQuest Research, an investment and leading research house in the equities market, said the company’s Pre-Tax loss in Q2 was occasioned by the key drivers were a gross margin contraction of -636bp y/y to 25.7 per cent and 92 per cent y/y spike in net interest expenses. On the positives, the Research firm said with Q2 sales of N8.1 billion, the company’s sales was up 11 per cent y/y. “Based on the read-across from rival Dangote Cement, we believe that the double-digit growth in sales, was driven by unit volume growth underpinned by a recovery in cement demand. According to industry estimates, the cement market in Nigeria posted strong unit volume growth of c.10% y/y over the H1 2018 period. It will be recall that the Company’s first-quarter 2018 results showed revenue decreased by 0.8 percent to N80.64 billion, from N81.3 billion in Q1’2017. 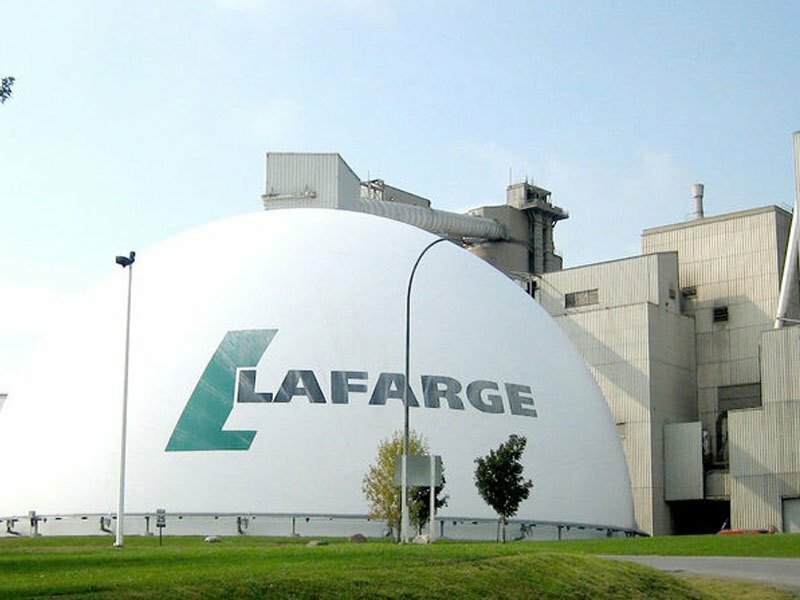 The decline in Lafarge revenue growth was accompanied by increases in input costs, operational expenses and a marked increase in finance costs. Pre-tax losses of N2.9billion, represents a decline of 131.2percent from pre-tax profit of N9.4billion the company recorded in corresponding first-quarter period of 2017. Lafarge Africa Plc also reported post-tax loss of N2billion in Q1’18 respectively, down by 138.8percent, from N5.16billion post-tax profit in Q1’17. Investors reacted negatively to these results as sell orders pushed the stock price down to N43.6kobo, nearing a 52-week low of N43.20kobo. The stock price lost 85kobo or 1.91 percent on Monday. “We expect to see marked downward revision to consensus 2018E earnings forecast and a significant sell-off in the shares over the next few days,” said Tunde Abidoye-led team of research analysts at FBNQuest Capital Research in their April 23 note to investors. “The weak earnings were driven by a combination of factors including a significant gross margin contraction of 338 basis points (bp) year-on-year (y/y) to 22.3percent, a 41percent y/y rise in operating expenditure (opex) and a 133percent y/y spike in net interest expense,” the analysts added. The company recorded a revenue of N80.6 billion for the first quarter (Q1) 2018, 1 percent less than the N81 billion recorded in the corresponding period of 2017, after volume effects in Nigeria and South Africa. The challenge of taxing the informal economy in Nigeria. NSE published International Breweries’ Q3 2017 (end-Dec) results. Nigeria raised N176bn in treasury bills on lower yields. The monetary policy committee (MPC) holds its latest meeting in Abuja today and tomorrow. The latest report from the NBS has headline inflation y/y at 15.1% in January.